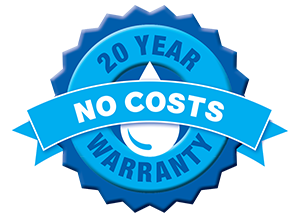 For each year thereafter Aquamate’s liability to meet Warranty Costs incurred in that year shall decrease 10% until the tenth (10th) year where Aquamate agrees to meet 10% of the Warranty Costs (and the Customer 90%). To submit a warranty claim, please contact Aquamate Toll Free 844.320.TANK (8265) or send an email to info@aquamatetanks.com. Aquamate will provide the purchaser with a Warranty Claim Form for completion. The completed Warranty Claim Form, proof of purchase and any photographic evidence requested by Aquamate must be returned to Aquamate, at the purchaser’s cost and in the manner directed by Aquamate. Aquamate LLC will assess all written claims and repair or replace the product at its own discretion, on the basis set out in these warranty terms and conditions. Approval from Aquamate must be obtained before anyone takes any remedial action or the warranty claim will be rejected. Other than as expressly set forth herein, Aquamate expressly disclaims any other warranty of any type, whether express or implies, including any warranty of merchantability or of fitness for a particular purpose.